The white and grey pixilated graphics set against a solid blue background in Cory Arcangel’s work Super Mario Clouds (2002) may look familiar to anyone who grew up on 1980s videogames. Arcangel created this piece by hacking into an old Super Mario Brothers Nintendo cartridge and replacing the data chip with one he programmed to continually loop a single graphic from the game—that of the clouds. Since the 2004 Whitney Biennial, where Super Mario Clouds was installed as a large-scale video projection, Arcangel’s work has been widely recognized on the international art circuit. Although his work has been well received by established art institutions, (i.e., the Whitney Museum of American Art, NY, the Museum of Contemporary Art, FL, Montevideo: The Netherlands Institute for Media Art, Amsterdam, the Guggenheim Museum, NY, the Museum of Modern Art, NY) his initial production methods did not target gallery audiences. His first works were techno records that were distributed primarily to DJ’s, live performances of software hacks for audiences comprised of computer experts, and Internet hacks that were intended for an on-line audience. As the political battleground shifted from the material to the virtual, political activists and artists opposed to power hierarchies had to develop new strategies of resistance. In her book, “Tactical Media”, Rita Raley examines the aesthetic and critical practices that have emerged out of and in response to post-industrial society. Raley states, “Tactical Media are what happens when cheap ‘do it yourself’ media made possible by the revolution in consumer electronics are exploited by those who are outside of the normal hierarchies of power and knowledge.”2 The Tactical Media movement is a clear example of how political activists and socially conscious artists have adopted new methods of resistance. Although the visual art avant-garde movements have been the focus of much criticism in the last thirty years, the legacy of the historical avant-garde’s concern with the division between the proletariat and the bourgeoisie can be seen in the contemporary avant-garde struggle to create art that counteracts political structures that hinder authentic and individual participation in contemporary culture. For contemporary artists who want to critique post-industrial political dynamics, the information and computer technologies of the very structures they are attempting to subvert become effective tools of defiance and resistance. What is more difficult to identify, however, is a tactic for artists to negotiate the dialectics of artistic production and political activism while avoiding identification with the shortcomings of previous avant-garde strategies. As A. L. Rees explains, the term “avant-garde” has been criticized since the 1970’s from two primary camps. Peter Burger’s 1974, Theory of the Avant-Garde, argued that all contemporary artistic avant-gardes are recreations of the historic avant-garde of the 1920’s and repeatedly fail to fulfill the goals of the movement. To a larger extreme, critics in the 80’s began to argue that the motivations of the historic avant-garde were ill intended and delusory from the beginning.3 Taking a more liberal perspective, one that sees the avant-garde as an agency of change that is constantly taking new forms and creating new modes of expression, theorists such as Gene Ray allow for a contemporary avant-garde that is influenced by but not determined by the historical avant-garde. It is from this perspective that I analyze the work of Cory Arcangel. Theories of early 20th century essayist Walter Benjamin provide insight into the relationships between dialectical production methods and politics and contemporary media theorists, such as Lev Manovich, provide contextual perspective for the art of the early 21st century. In order for an artists’ work to be socially relevant, the strategies and function of their work must reflect their historical and political contexts. It is crucial for contemporary artists and for theorists studying contemporary art movements to acknowledge and understand the impact art can have on the relations between the individual and the social and political structures that influence society. Therefore, through contextual analysis, this paper will argue that Cory Arcangel’s work is part of a contemporary avant-garde movement and a reflects new form of artistic political resistance. Arcangel’s techno records, created in collaboration with Paul B. Davis, Joe Bonn and Joe Beuckman, are an example of Arcangel’s creative use of technology as a politically subversive tool. These records were made by hacking into Atari and Commodore 64 computers and were not only a perfect hybrid of his computer skills and musical talent, they were his first creative endeavor with characteristics of a contemporary avant-garde strategy. 8-bit Construction Set (BED-004), (2000), perhaps the most well known techno record by the collective, functioned as a DJ record but also as a device for free software distribution. In the early 1980s computer data was stored on cassette tapes as audio files. The final track on 8-bit Construction Set (BED-004) allowed the owner to transfer computer programs from the vinyl record onto a cassette tape and load them onto their computer, avoiding the expensive cost of software licensing.4 Arcangel’s do it your-self hacktivism is consistent throughout his work and is at the core of his strategy for making socially relevant art. By hacking the barriers of technology and personally manipulating bits and bytes that are part of the digital culture industry, Arcangel asserts his right as an individual for independent creative production, unhindered by the corporate systems that control digital technology. Through his performances, installations, on-line videos and web art, Arcangel makes public both his artistic expression and the methods he uses to create his work. The successful release of 8-bit Construction Set (BED-004) made it possible for Arcangel, Paul B. Davis, Joe Bonn and Joe Beuckman to establish Beige Records, a record label and collaborative effort to resist the digital art trends appearing in art schools across the country. Beige Records took a purist approach to computer art, emphasizing the need for artists to have a thorough knowledge of computer technology and a “do it yourself” attitude towards modifying hardware and software.5 This doctrine of self-reliance continues to resonate within Arcangel’s current work, promoting a paradigm of accessibility and resisting standardization and corporate control over digital expression. Given their resistance to the standardization of creative expression and their insistence on artists’ ability to create work independent from the influence of the mass market, one might presume Arcangel and Beige Records self identify as grassroots political activists. New media curator Mark Tribe and contemporary art critic Reena Jana present a different view in their essay “Art in the Age of Digital Distribution”. They believe that Arcangel’s approach is more playful than critical, focused on tinkering and appropriation rather than protesting and resisting.6 This schism between Arcangel’s intentions to make art that has social relevance and the lighthearted manner in which it is perceived is due in part to Arcangel’s reluctance to identify his work as political activism. Thom Donovan, editor for Museo Magazine, interviewed Arcangel, asking if he “acknowledges an activist streak in his work that prioritizes knowing about the technologies that we use and in turn use us?”7 Arcangel responded by asking for a definition of activism and denying any political agenda then went on to describe his motivation as the desire to break down technological barriers. “Basically, the core reason I like to do that is to show people how this stuff is pretty accessible and because as the Internet and computers grow up more and more, walls are built, and these walls don’t necessarily have to be there.”8 Arcangel not only educates people on how technology can be accessible, through his on-line tutorials and lectures, he gives his audience the skills they need to hack into technology themselves. This instructional approach is not typical of what is thought to be political art, which usually illustrates a problem but fails to provide viewers the tools to change political relationships. It is, however exactly what Walter Benjamin, the literary critic and media theorist, insists is necessary for creative work to be political.9 Arcangel’s simplistic self-representation and reluctance to label himself a political activist might just be part of his tactic for keeping his work accessible to a wide range of constituents. Arcangel attempts to make art that reaches across social, class, and institutional boundaries. He is able to do this in part because he avoids overt messages that might put people on the defensive. Although this strategy may hinder the impact of his work and may cause confusion about the function of his work, Arcangel’s performative rather than overtly political approach is somewhat sophisticated in that it isn’t simply reactionary or easily classified as an “ism”. Benjamin’s theory points to the significance of Arcangel’s dialectical approach. After enjoying some success with Beige Records and creating works for the electronic music as well as the web art scenes, Arcangel decided to create work for gallery audiences. Arcangel created Super Mario Clouds along with I Shot Andy Warhol, a second video game modification (MOD), in 2002 with the intention of showing the works both on the Internet and in a gallery. Arcangel described his strategy for making this work to Dara Birnbaum, feminist and video artist, for an article in ArtForum International. These two video game hacks were, “meant to be blind to both audiences, meaning that art people would see the work one way and like it while Internet people would see it another way and like it. I wanted these parallel rails on the train track.”16 Arcangel created Super Mario Clouds knowing that it would operate differently in the Internet and gallery settings. He intentionally modified his production technique to maximize communication with the audience in each context. The on-line version showed the looped video of Super Mario Clouds, posted the programming code, detailed tutorials of how to hack into the game cartridge and video demonstrations of him making the videogame MOD. Over the years other artists have used Arcangel’s instructions to create their own MODs. Arcangel has links to some of their works on his web site. In the Internet context, Super Mario Clouds functioned as an instructional piece, teaching and inspiring others to produce their own video game MOD’s. According to Benjamin, this instructional stance is necessary for a creative work to function on a political level, for it is through teaching that one provides the means and the access for people to participate in the production of culture. In the gallery context, Super Mario Clouds functioned differently. 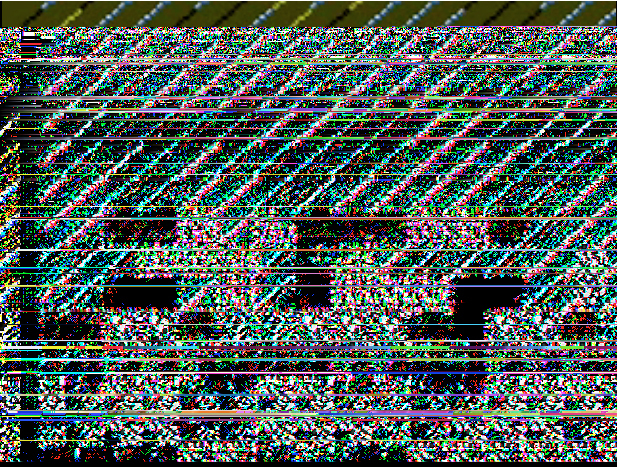 Rather than inspiring the audience to hack into videogames or understand the reference to 1980s videogame iconography, it commented on large-scale video installations.17 The pixilated graphics produced by the 8-bit videogame represented a low-resolution aesthetic that was characteristic of computer graphics of the 1980s, when computer parts were comparably simple to modify and the technology easy to understand. This was quite different from the high-definition video technology characteristic of video art of the early 21st century. 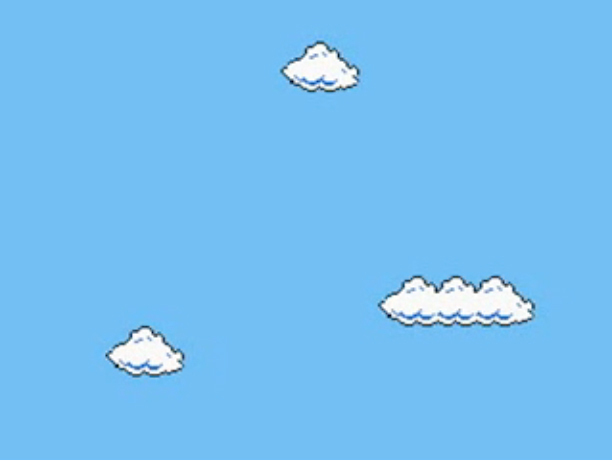 By displaying these pixilated graphics in a gallery context, where most video art production was concerned with pursuing new technologies rather than “old”, Super Mario Clouds functioned as a material representation of an era when technological production was within reach of the average consumer. Arcangel’s willingness to alter his production methods in order to communicate with specific audiences indicates he is motivated not only by political intentions but that he is attempting to enter into a dialog that directly effects the lived relationships between individuals and power structures that determine much of daily experience. Additionally, Arcangel’s dialectical approach resonates with the historical avant-garde’s agenda of bringing the activities of daily life into the realm of art and vice-versa. Art theorist Benjamin Buchloh, explains that the historical avant-garde aimed to “abolish the separation of the aesthetic from the real (what is often referred to as the gap between art and life) and attempted to integrate art within a social praxis.”18 Video games are very much a part of popular culture, occupying the time of teenagers and young adults who play videogames as a leisure activity. Arcangel transported this gaming culture into the fine arts. Arcangel’s work is concerned with the ubiquitous influence technology has on people’s lives, the power technology has in terms of lived relations and the lack of authentic participation consumers of digital technology have with the creation of digital culture. In the “computer age”, power relations are determined by the control and dissemination of information. The more sophisticated technology becomes, the more the public becomes dependent on and influenced by the companies who manufacture and sell technology. Through his performances, hacked videogame MODs and Internet art, Arcangel engages with the actual materials that make up the digital culture industry but does so in a way that aims to break down the barriers that exist between consumers of computer devices and the corporate industries that mass produce it. According to Blake Stimson, author of “For the Love of Abstraction”, technology has become an indicator of social place and opportunity. Technology is the proverbial ticket to access, privilege and social belonging.21 Yet, the average eager consumer of technology doesn’t have the skills or the perspective to use technology in a unique way. Just as mechanized labor alienated the working class from a sense of pride in being able to secure means for their survival, the average consumer is not able to use technology as a means of authentic expression of self due to the specialization of technology and electronic devices. Arcangel’s attempt to engage with technology beyond the parameters determined by manufacturers is an attempt to change the lived relations between consumer and producer. He gives artists and non-artists an alternate means for interacting with and thinking about technology that has the potential to shift power relations. For his recent show at the Museum of Contemporary Art, North Miami, Arcangel changed the font on the museum’s website from Helvetica to Comic-Sans. In his presentation for the Dr. Sanford and Dolores Ziff Art Talk Series, Museum of Contemporary Art, North Miami, Arcangel explains that “Comic- Sans is a common font that was invented for Microsoft 95 and was intended to be a ‘friendly’ font for kids to use but instead proliferated throughout culture to be used in office memos and poorly designed home pages.”23 The font has been rejected by the graphic design industry as amateur. By changing the font on the museum’s website to Comic-Sans, Arcangel brings attention to the hierarchy that exists between the commercial and non-commercial production of graphic design. He levels the status of the two by incorporating Comic-Sans into the website of an institution that represents “high-culture”. Furthermore, he elevates every personally designed MySpace page and website with Comic-Sans to the same status as the museum’s website. Walter Benjamin, in Art in the Age of Mechanical Reproduction suggests that the mechanical advances in artistic reproduction, such as lithography, photography and film, allow artists a greater impact in the public sphere, in part because mechanical processes allows artists and the proletariat to disseminate their writing and images on a mass scale.24 With computers and digital technology, most artists rely on prepackaged software to create their digital artwork. While digital technology enables mass production it also limits the freedom of authentic expression based on the parameters of hardware and software. For instance, a limited number of fonts are available to consumers. Arcangel’s Comic-Sans project shows that these predetermined fonts reflect larger cultural ideologies. Here Arcangel’s work does not necessarily increase public participation in production because access to free web hosting platforms has been widely available for the last several years. Rather, his work increases public awareness of the politics interconnected with technologies already in use and offers an alternative way of engaging with these technologies that is politically equalizing. Gene Ray calls for a revised interpretation of the historical avant-garde, one that requires redefinition of revolutionary success and failure that is different from Burger’s all-or-nothing perspective. Artists such as Arcangel, who are working with contemporary issues of “representation”, “culture industry” and “ideological apparatuses”, must do so with a different strategy than that of the historical avant-garde. Throughout the remainder of the paper a closer analysis of Arcangel’s video game modifications is necessary to show how he uses his art to resist ideological power structures. Super Mario Clouds (2002), as well as his other video game modifications, exemplify what Walter Benjamin describes as Bertolt Brecht’s concept of “functional transformation, the transformation of the forms and instruments of production in the interest and liberation of a class struggle.”30 Benjamin and Brecht argue that in order for creative work to be political it is not enough to create new works using the production of the epoch. A revolutionary approach is needed to transform the production models, making them accessible to greater numbers of people, thereby transcending class boundaries. Archangel’s work addresses class division through his propagation of “low-tech” production standards and the utilization of pop culture detritus as source material for his artistic creations. For instance, he recently created a video mash-up of cats playing the piano from other people’s YouTube videos. Arcangel uses simple and affordable production techniques that most democratic societies have access to and he transforms common leisure activities that people are already engaged with into artistic expression. According to gaming scholar Charles Bernstein, “videogames are the purest manifestation of computer consciousness.”31 And through the arcade video game, the first computer that could be used by the general public, and home video games, the first computers in the average American household, this “computer consciousness” infiltrated American mass culture. The 1960s saw a convergence of art and technology that spawned the development of the videogame. The television and screen technology used by the videogame was already in place by then and all that was needed was the microprocessor to supply the videogame console with image and sound. Once interactive display graphics were wed to the cathode ray tube (CRT) the only remaining barriers to the commercialization of videogames were public access and affordability. In 1971 the microprocessor was invented which allowed the inexpensive and mass production of computer components and made possible the development of the home video game and the personal computer.32 According to Rochelle Slovin, the founding director of the Museum of the Moving Image, “It seemed that the merging of the computer with the CRT was creating a genuine form of interactivity – a much – hyped concept even back then. Not least, videogames were acclimating a whole generation of young Americans to computers.”33 While greater affordability and accessibility to video game technology might seem liberating for the public, one must remember the experience of interactivity allowed by the person playing the videogame is circumscribed by the rules set forth by the person who programmed the game. As Lev Manovich explains in his essay On Totalitarian Interactivity, the average consumer must rely on the computer industry to create and sell proprietary products that determine the user’s level of interactivity and customization. Furthermore, Manovich argues that interactivity and customization, once tactics used by artists to connect with the public, have become a strategy of technology companies to attract and influence the public.34 The acculturation of videogame “modding” is an appropriate example here. Starting in the 1980s, videogame MODs were performed by hackers without consent from the videogame manufacturers. Recently, the ability to modify games has become a marketing tactic, incorporated by manufacturers into video game software. Manufacturers now realize that a greater level of customization and interactivity increases the popularity of their games and gamers become more attached if they have a sense of control. The video game becomes an ideal mode through which cultural ideologies can be transmitted to the average consumer while pacifying them with illusions of interactivity, customization and control. Arcangel’s art breaks down the barrier between the computer and the consumer. 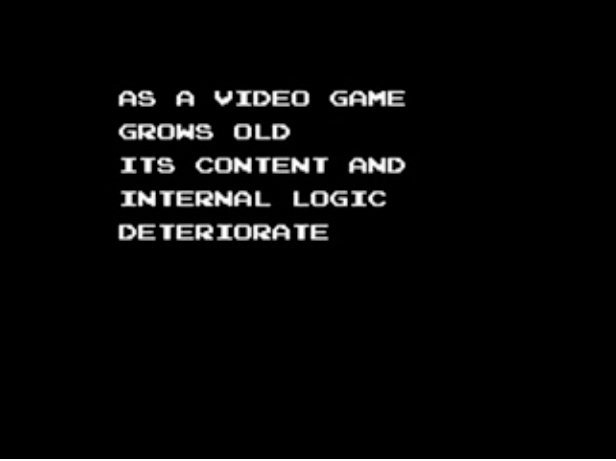 By hacking early video games and modifying the computer components, he refuses to be controlled by the technology and creatively circumvents the built-in limitations of the videogame system. Arcangel prefers to change a game’s structure, by opening up the cartridge, taking apart the controller and soldering new chips in place of the originals. His work is the antithesis of the commercial desire for functionality and speed and his interventions disrupt rather than increase seamlessness and functionality. 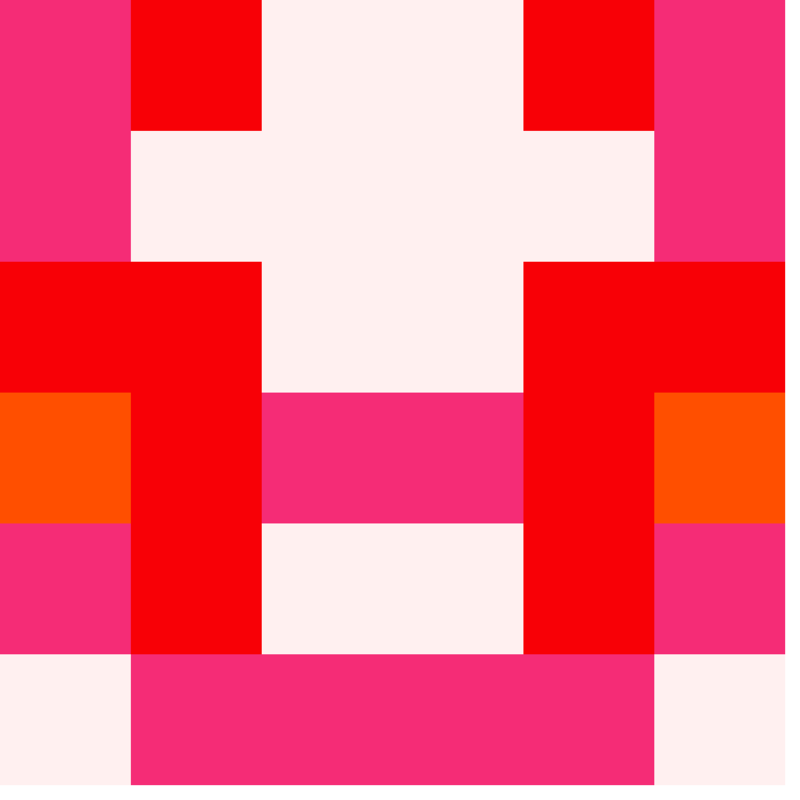 In 2004 Arcangel hacked into the code of a Tetris video game and altered it to run three times slower than its normal speed. Super Slow Tetris is an example of anti-art or deconstruction, a characteristic often found within Dada, one of the primary groups of the historical avant-garde. Hans Richter, avant-garde artist and author of dada art and anti-art explains, “The Uselessness Effect shows us objects from what one might call their human side. It sets them free. It was precisely because these things were useless that we found them moving and lyrical”.45 Much as Dada and the historical avantgarde was in part a reaction to the industrialization of warfare, videogame hacks can be seen as a response to the information technology revolution and the control of the public through the digitization of cultural forms.46 While Arcangel’s work clearly includes influences from the historical avant-garde, his strategies, self-perception and public presentation are much different. His work is less reactionary, less idealistic and subtler in its approach to culture industry critique. Perhaps it is appropriate to use Mario, the star of Nintendo’s Super Mario Bros. video games, as a metaphor to illustrate the avant-garde aspects of Arcangel’s art. As described by Dyer-Witheford and de Peuter in Games of Empire, Mario is “a worker–an overall-clad,cloth-capped industrial artisan who liberates Princess Toadstool by overcoming a series of bosses. 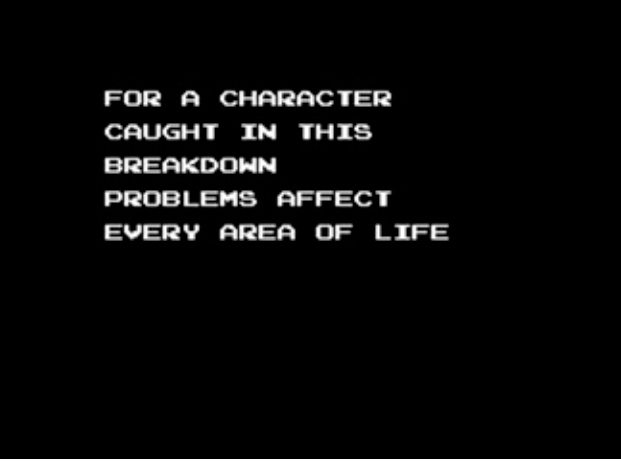 He is, it is often observed, the quintessential ‘little guy’… a ‘working-class hero.”47 The modifications Arcangel makes to Mario in his videogame hacks are significant metaphorically as well as for their technological tactics. Arcangel completely erases Mario from Super Mario Clouds (2002), Figure 1, and takes him on an existential journey to his own eventual death in Mario Movie (2005), Figures 2-4. In both videos, Arcangel shows the masses’ lack of influence, or agency, on the production of digital, high-tech, goods and services in a post-industrial society. Mario, the lowly plumber, does not stand a chance in a world where those who control technology and digital infrastructures determine hierarchies. Arcangel uses his video game hacks to make subtle comments, using the same medium that propagates the cultural agenda of the post-industrial elite. The risk that Arcangel faces is that his work, like that of any other avant-garde artist, will be acculturated by the same capitalistic modes of production he intends to break down. Arcangel’s work is susceptible to misinterpretation and could easily be construed as simply promoting a digital aesthetic. This is especially true in the gallery context, where his work is viewed through a more traditional artistic lens and his strategy is more presentational rather than instructional. In order to avoid acculturation, Arcangel must continue to find new methods of production, update his methods of hacktivism and find additional ways to engage the general public in his “do-ityourself” technology strategy. Arcangel, Cory, “Cory Arcangel Art Talk”, Dr. Sanford and Dolores Ziff Art Talk Series, Museum of Contemporary Art, North Miami, http://www.mocanomi.org/art-talk/. Benjamin, Walter. “The Work of Art in the Age of Mechanical Reproduction,” in Illumniations, ed. Hannah Arendt, trans. Harry Zohn. (New York: Schocken, 1969): 217-51. Benjamin, Walter. “The Author as Producer”, in New Left Review, issue 62, (London: July – August 1970), 83. Benjamin, Walter. “The Work of Art in the Age of Its Technological Reproducibility, Second Version”, in The Work of Art in the Age of Its Technological Reproducibility and Other Writings on Media, ed. Michael W. Jennings, Brigid Doherty, and Thomas Y. Levin, trans. Edmund Jephcott, Rodney Livingstone, Howard Eiland. (Massachusetts: The Belknap Press of Harvard University Press, 2008): 19-55. Brecht, Bertolt. “Radio as a Means of Communication, A Talk on the Function of Radio” in Ideology and Consciousness, Autumn issue 6, (London, 1979) 24-29. Buchloh, Benjamin, “Figures of Authority, Ciphers of Regresion: Notes on the Return of Representation in European Painting”, in October, Spring, vol. 16, (Massachusetts, MIT , Press, 1981) 39-68. Dyer-Witherford, Nick and Greig du Peuter, Games of Empire, Global Capitalism and Video Games, (Minnesota, Minnesota Press): 2009. Eagleton, Terry, “What is Ideology?” in What is Ideology, An Introduction, (New York: Verson, 1991) 1-32. Gumbrecht, Hans Ulrich and Michael Marrinan, eds. Mapping Benjamin: The Work of Art in the Digital Age, (California: Stanford University Press, 2003). Jordan, Tim. Hacking, Digital Media and Society Series. (Massachusetts: Polity Press): 2008. Lewis, Stephen E. “The Modern Gallery and American Commodity Culture”, in Modernism/Modernity, vol. 4 (3), (Baltimore, MA: The John Hopkins University Press, 1997): 67-91. Manovich, Lev. “On Totalitarian Interactivity (Notes from the Enemy of the People)”, in Art, Power, Communication, Rhizome Digest, October 11, 1996, http://www.rhizome.com. Martin, William. “Game On: Videogames, Popular Culture and the New Aestheticism of Interactivity”, in Art Criticism, vol. 20 (1), (2005) 86-97.
metac0m. The Hactivist. What is Hacktvism? 2.0, December 2003. www.thehacktivist.com, (accessed November, 2010). Raley, Rita, Tactical Media, (Minnesota, University of Minnesota Press), 2009. Tribe, Mark and Reena Jana, “Art in the Age of Digital Distribution” in New Media Art, (Cologne, DE: Taschen GmbH, 2006): 6 25. Valdez, Sarah. “Open Source Art”, in Art In America, vol. 93 (8) (New York: Brant Publications, 2005): 146-147. Wolf, Mark J. P., ed. The Medium of the Videogame, (Austin, TX: University of Texas Press): 2001.